Interested in teaming up with Ventures? At Ventures, we focus on building relationships and customizing partnerships based on our shared values. We know business, so we know what you need to make our partnership worthwhile. Partnership with Ventures will be a win-win. We invite partners to be creative with us. It can mean group volunteering, workplace lunch and learns, custom fundraising events, in-kind donations, collaborative program delivery, and more. We’ll have strong brand and value alignment, engage employees, and provide data to prove our collective impact. No matter what our partnership looks like, we will work together to build businesses and change lives. Contact Jacquee Kurdas at jkurdas(at)venturesnonprofit.org for more information. 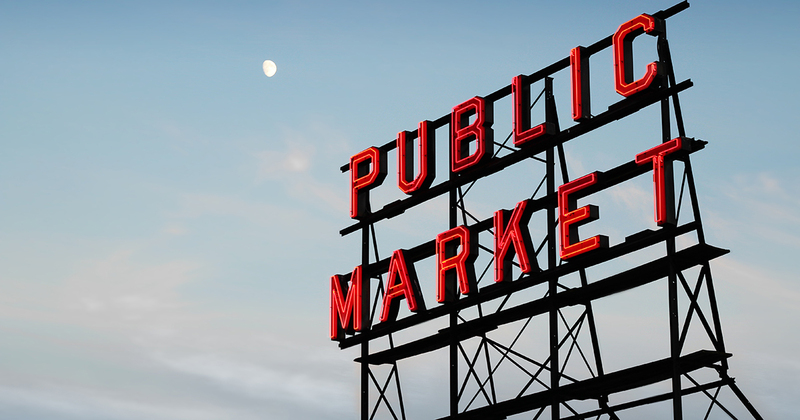 Our partnership with Pike Place Market helps at least 125 entrepreneurs per year. We provide training for day stall operators and in exchange, the Market provides us with classroom and meeting space. Pike Place Market is also home to our retail store and business incubator, the Ventures Marketplace, where 75+ entrepreneurs sell their products. Ventures teams up with King County Metro Transit to better connect people with transit service and reduced fare ORCA Cards. In exchange, we share their social media posts, include their services in newsletters, and write blog posts about our partnership.